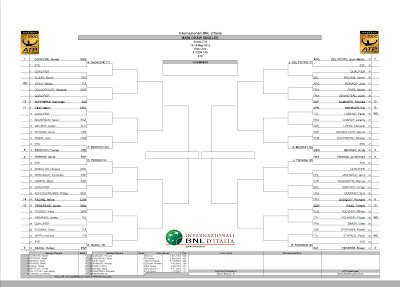 The draw for Rome was released today. Rafa is seeded 5th & will get a bye in the first round; he will play either Andreas Seppi or Fabio Fognini in the second round. He is in Novak Djokovic's half of the draw. He could play Novak Djokovic in the semifinal. 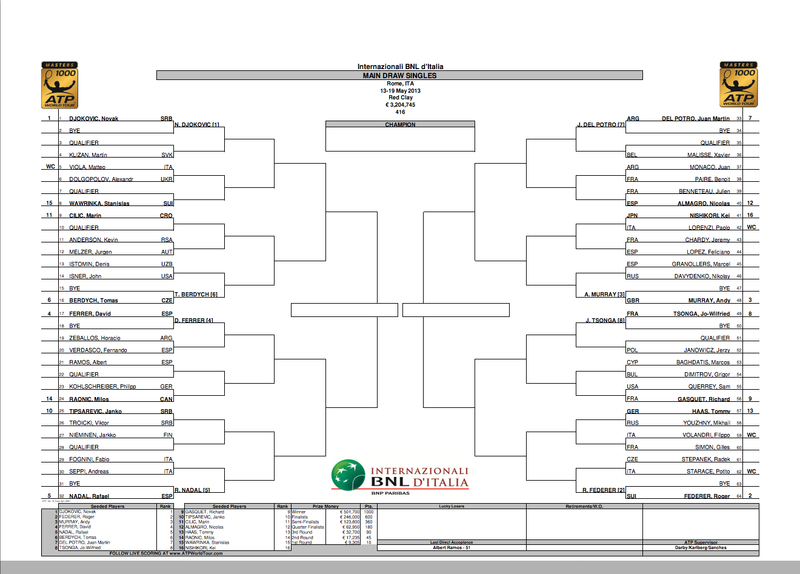 The other seeded players in Rafa's quarter are Janko Tipsarevic, Milos Raonic and David Ferrer.